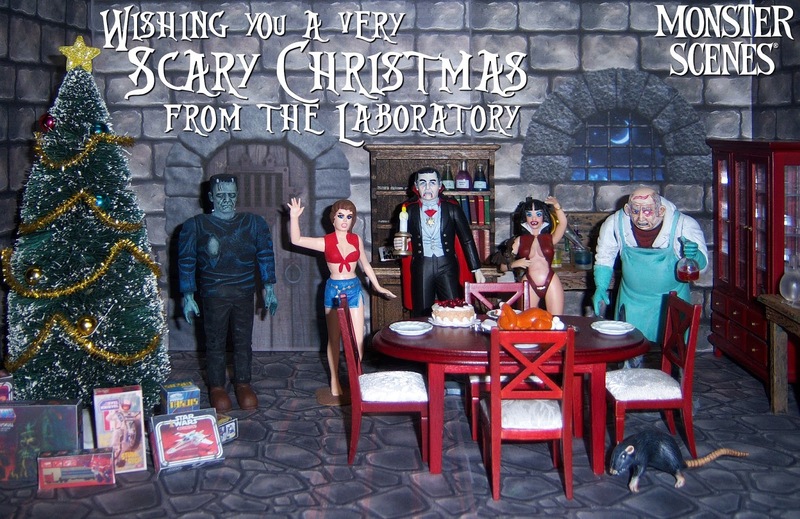 The Monster Scenes Gang wishes you a very Scary Christmas. I don't know about you guys, but I never truly complete work on a model, I just finally abandon working on them after a while. Sometimes I find myself getting a model out and working on it again. 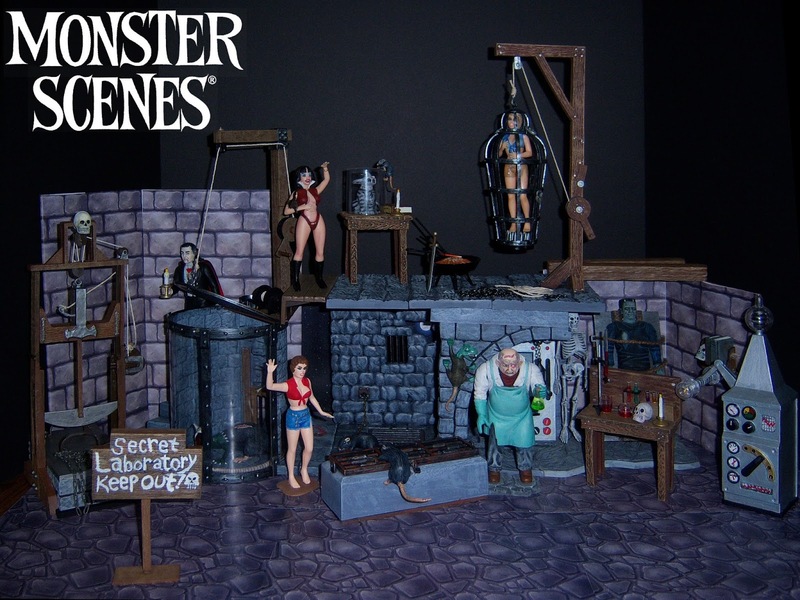 This happened recently with my Monster Scenes models. I did a bit detail painting today, along with a couple of additions... A sign and little hanging shelf for Dr. Deadly's library of lurid medical books. After Dencomm acquired the rights to the name "Monster Scenes," the company licensed Moebius Models to begin re-releasing the Aurora Monster Scenes kits. Using the original tooling, six kits were initially released including Dr. Deadly, The Victim, Frankenstein, and The Hanging Cage. Later the license for Vampirella was worked out with Dynamite publishing allowing for the release of her model. However, without the tooling for Dracula and Jekyll/Hyde it seemed there was nothing else left to release. Dracula joined the Monster Scenes models today. When Aurora cancelled the Monster Scenes line back in the early seventies, the Dracula kit was ready for release. Along with Dr. Jekyll & Mr. Hyde and the Giant Insect kits, it was later released in Canada, but not in the USA. The original kit is extremely rare and highly sought after by collectors. Dencomm through Moebius Models had already released the Giant Insect, but not the other two models as they didn't have the molds. Monarch Models released the kits as a set in November of 2015. Regrettably, Monarch went out of business in 2016, making this set its last release. Limited to only 1000 sets, the kits never offered to hobby shops or distributors. Ages 6 and up. Batteries not included. 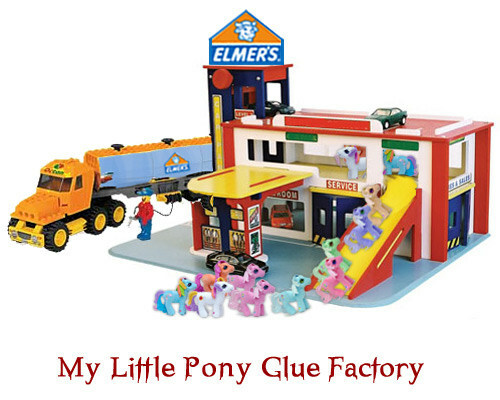 Ponies sold separately. 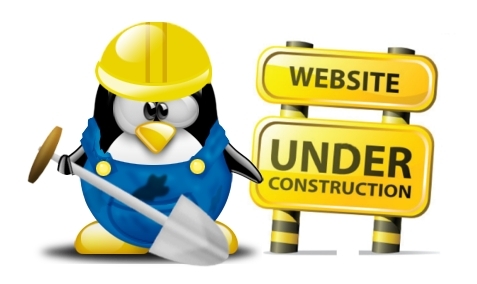 Using the Waybackmachine, I have been able to recreate some of the older posts that have been lost when Blog.com bit the dust. Check out some of the older posts from 2013-1015! 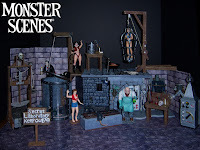 Monster Scenes models have been the focus for the past couple of weeks as The Dungeon and Animal Pit models were recently brought out and assembled and painted. Afterwards, all the old models were added to the new ones to create one big scene, seen in the previous post. While setting up, it was determined that some of the older models were in need of some attention.